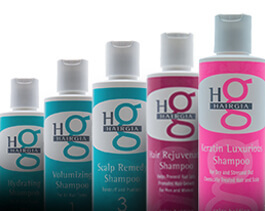 Leave-in conditioning treatment for all hair types. Revitalizes dry or chemically processed hair. Great for those days you don’t have time to shampoo. Mist hair and comb through. Reduces static electricity. Looking for a leave-in conditioner to add hydration to dry, stressed, or chemically-treated hair? Look no further! Our Hydrating Mist Conditioner is a leave-in conditioner filled with natural botanicals that eliminates frizz and reduces static electricity. 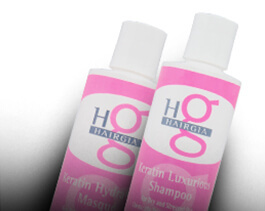 Use after your regular shampoo before styling or mist on second-day hair and comb through before restyling. DIRECTIONS: Apply Hydrating Mist Conditioner to shampooed or dry hair. Do not rinse, just comb through hair and proceed with style. We suggest shampooing with our Hydrating Shampoo 2 before using the Hydrating Mist Conditioner for ultimate hydration and setting your style with Creative Hair Spray. Using a plethora of natural botanicals like evening primrose, Argan oil, and aloe vera, we develop products that are good for your hair and good for the environment. We never test on animals. In fact, each and every one of our products is tested by our own family to make sure that we are creating the best quality products that provide the best results.